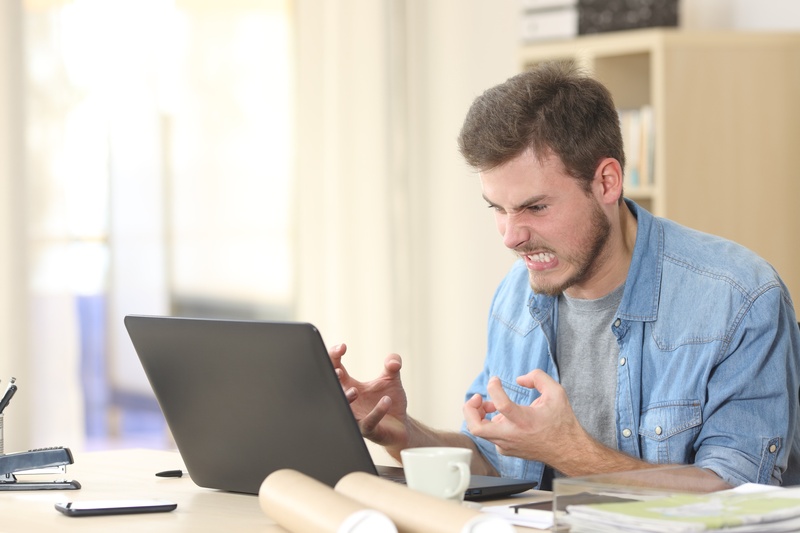 Well, here are several reasons why your Facebook ads aren’t working and helpful tips to get your campaigns back on track. You’ve got AdWords down. So, since your campaigns with AdWords have been so successful, you pretty much know what you’re doing with Facebook ads, right? Wrong. Facebook is a completely different ballgame than AdWords. The biggest difference between Google and Facebook Ads is the way you target the audience. On Google, you are bidding on specific keywords and targeting a buying intent. Visitors who use search engines to find a product or service will respond to information they find useful and relevant. But Facebook works differently. On Facebook, there is no buying intent. Facebook ads are based on users’ demographics and interests. On Facebook, you need to be focused on the audience that is most likely to want to buy your product or service. How do you fix this? Create buyer personas. Buyer personas can help you identify your target audience’s characteristics, demographics, and interests so you can more specifically target them on Facebook. Think of buyer personas as if they were your target keywords. What would your buyer persona search for? Now think about what that buyer persona would be interested in. If you’re only using geographic location as your form of targeting, you’re not utilizing Facebook Ads to its potential, and that could be the reason why you’re not seeing any conversions! If you’re not targeting a very specific audience, you’re reaching people and paying for clicks from unqualified leads, which won’t lead to conversions on your website. Next time you run a Facebook campaign, try targeting by interest, life event, job title, or anything else that is specific to your buyer persona. Match your copy and creative to that very audience. Then, you’re more likely to reach people who are more likely to convert on your landing page. One of the other reasons why your Facebook ads aren’t working is probably because you’re not taking advantage of retargeting. Retargeting is a common market technique used to remind visitors of your website that you’re still there and could help drive those visitors back to your website and complete the conversion process. These visitors are already familiar with your brand, so there is a higher chance for conversion. If you use retargeting on Facebook, you can make sure your ads are seen by website visitors. Using Facebook’s Custom Audiences feature, you’ll install a snippet of code on your website that will place a cookie on the computers of those who visit your site. Check out how to set up a Facebook retargeting campaign. In order to engage with your customers, you need to create engaging ads! It’s been determined that having a visual Facebook ad of a customer using your product or service is more appealing to Facebook users than a picture of your product alone. Remember, your image is competing with so many other ads and posts on Facebook. You want to make sure your ads are eye-catching and memorable. Images of people work best. Preferably their faces. Optimize your Facebook ads with close-ups of attractive faces that resemble your target audience work best and work even better when you show those people interacting with your product or service. If you’re wondering why your Facebook ads aren’t working, it might because you aren’t A/B testing your ads. In order to determine if your Facebook ads are working, you need to create multiple ads in each campaign to figure out which ad performs the best and which is costing you the most money and should ultimately retire. When you A/B test your ads, you not only want to look at cost per action and click-through rate, but you also want to look at the relevance score of the ads. If the relevance score is lower than 3, it’s a good idea to retire that ad or perhaps start completely over with the campaign changing little things at a time like targeting options, copy, or images. You always want to check your frequency to determine if an ad is performing well or not. This is how frequently a person sees your ad. If the average frequency of your ad is over 3, then it’s best that you retire that ad because you don’t want people to keep seeing your ad over and over because they might end up reporting it because they are sick and tired of seeing your ad! After you’ve made the above changes to your Facebook ads, let us know how they are working for you! Download our FREE guide on How to Establish Your Brand on Social Media to increase your sales with paid ads and organically.